Following significant investment by Welsh Government into the development of a community neurological rehabilitation service, Cardiff and Vale University Health Board has set up a partnership venture with Greenwich Leisure LTD (GLL) who manage Better leisure centres in Cardiff to enable people with neurological conditions to use local leisure facilities. The project has been set up to provide people with their rehabilitation closer to home so they do not need to attend hospital sites for these appointments. The classes are for people that have a neurological condition including brain tumours, stroke, traumatic brain injury, MS and acquired brain injury, the aim is to support people to self-manage their condition. 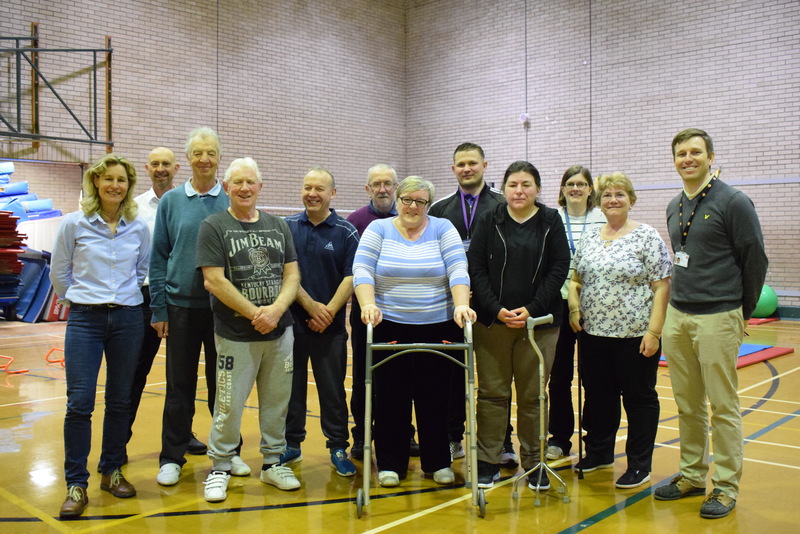 The groups will run over 10 weeks at Fairwater, Eastern and Llanishen Leisure Centres in Cardiff and Hen Goleg in Barry where people can access classes including lower limb exercises and balance classes, upper limb exercises and wheelchair fitness as well as mindfulness classes. The UHB has placed two Active Passive Trainers (APT’s) in Fairwater and Llanishen Leisure Centres and have also provided training for the staff working in these facilities. This will enable people with neurological rehabilitation needs to use the APTs in the local community and access the equipment without the need to attend hospital appointments. The launch of this project follows an initial six week pilot which was a success with over 170 attendances through the six week period ranging from 19 years old to over 80 years old. The patient experience questions showed the value that they placed on the groups with most strongly recommending the group to somebody with the same condition as them. It shows that the venues delivered all the facilities that patients required to attend the groups as part of their rehabilitation.